A simple, visual way to evaluate historical and literary characters from more than one perspective! Students choose a fictional or historical character to evaluate and write their name into the template. Place a dot on each line to rate your character for your categories (10 being the best score). Join up the dots to produce a “Wheel of Life” for your character. Explain your choice in the table overleaf. Arrange students into a continuum line, with the most positive interpretations at one end, and the most negative at the other. 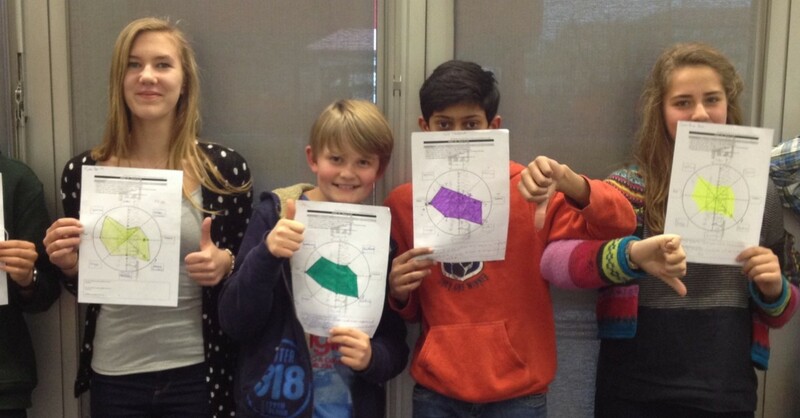 Print off the wheels of different students and arrange them in a diamond 9 diagram as a classroom display piece. Create a ‘physical’ wheel of life by arranging eight students on the playground – each step outwards from the centre of the circle (up to a maximum of 10) for each of the categories of analysis. Download: Wheel of Life Template (.doc).